Comments: ALTERNATE EDITION: Teacher Edition (same contents as the student edition plus extra material). Marked Not for Resale with disclaimer. New and in great condition with no missing or damaged pages. Need it urgently? Upgrade to Expedited. In stock and we ship daily on weekdays & Saturdays. No Access Code. 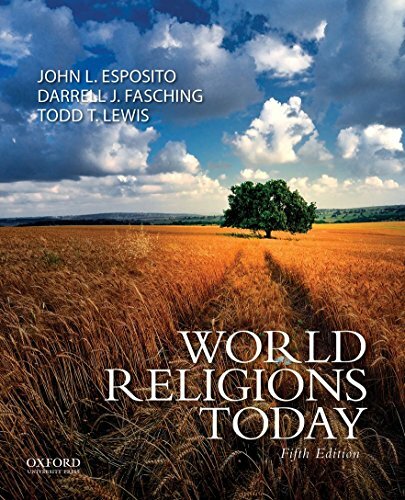 Todd T. Lewis is the author of 'World Religions Today', published 2014 under ISBN 9780199999590 and ISBN 0199999597. Loading marketplace prices 19 copies from $5.08 How does the rental process work?